A stunning and unique detached family residence occupying grounds in excess of an acre (1.19) including swimming pool, clock tower and cart lodge. 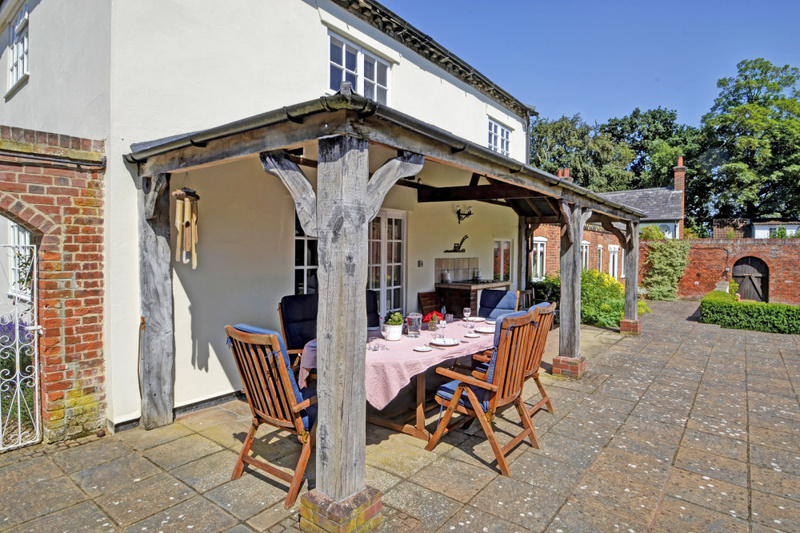 Set in the beautiful Broadland village of Witton offering excellent transport links into Norwich and London. 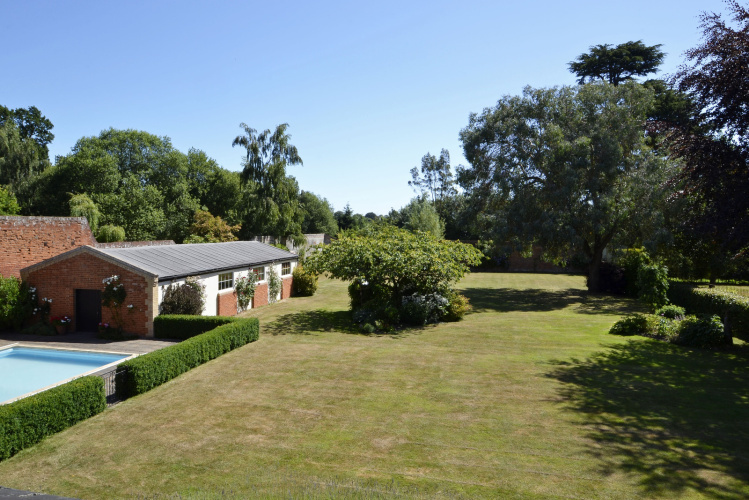 FULL DESCRIPTION Witton Grange is a stunning detached family residence occupying a plot measuring 1.19 of an acre. 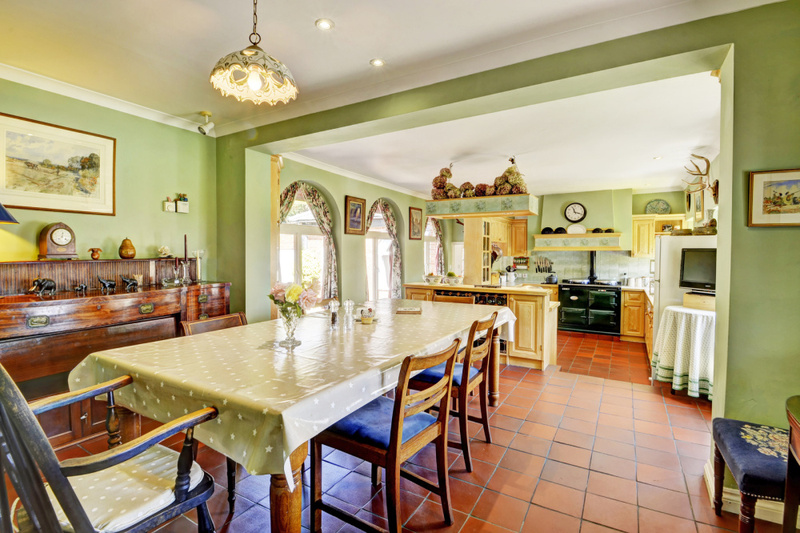 This delightful residence has an abundance of character and charm, with some unique features that make this property something very special. You enter Witton Grange through a large front door into the main entrance hall which offers access to a study, a snug, the lounge and access through a bespoke wide staircase to the first floor landing. The lounge is a dual aspect room which boasts character features throughout with two large original beams running the width of the room, and a log burner. 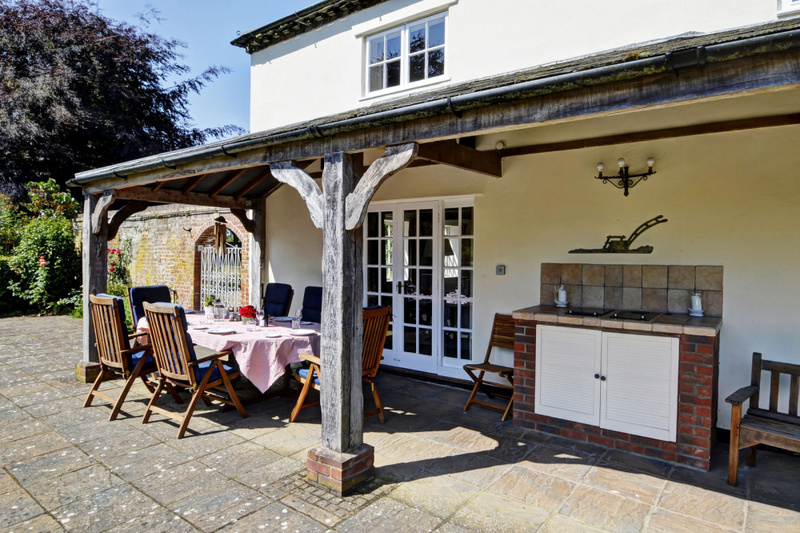 Double doors open to the side aspect, and boasts access onto the patio/barbecue area making this home perfect in the summer months for entertaining family and friends whilst looking out to the gorgeous garden and grounds. 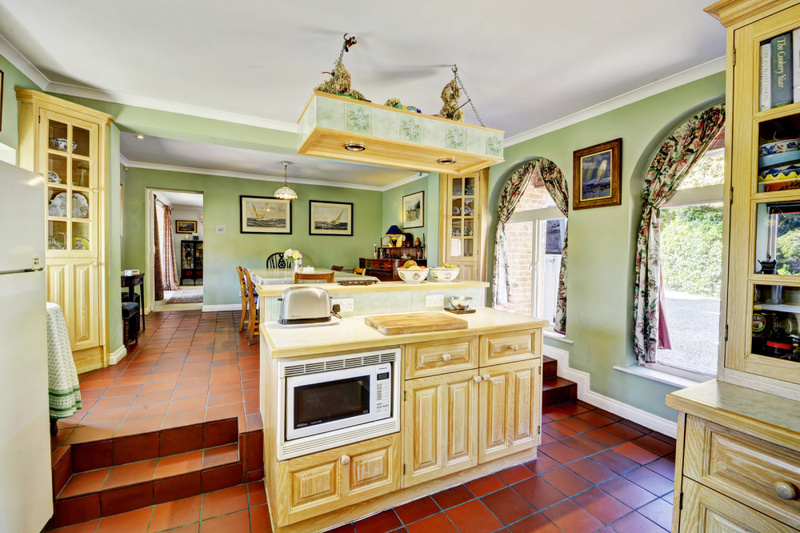 continuing through from the lounge, you enter into the kitchen breakfast room which was once part of the old stables; with this room offering and abudence of light with plenty of windows with views out to the gardens and courtyard. Integral appliances include an AGA, range of limed oak fitted wall and base units, Bosch dishwasher, and Bosch oven. Moving down two small steps you enter into an inner hallway with doors leading out to the courtyard area, dining room, and utility room. 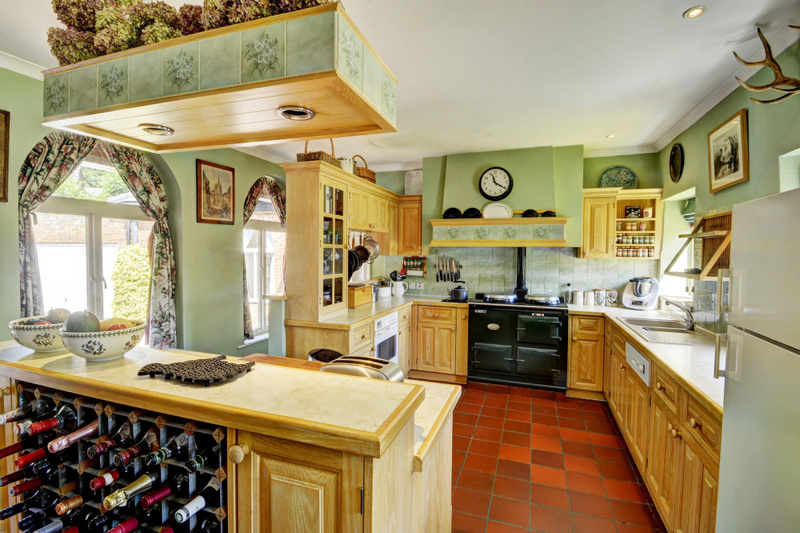 The utility room features base units, and an aluminium sink with drainer unit. Further access is provided into the WC with bespoke toilet and sink. 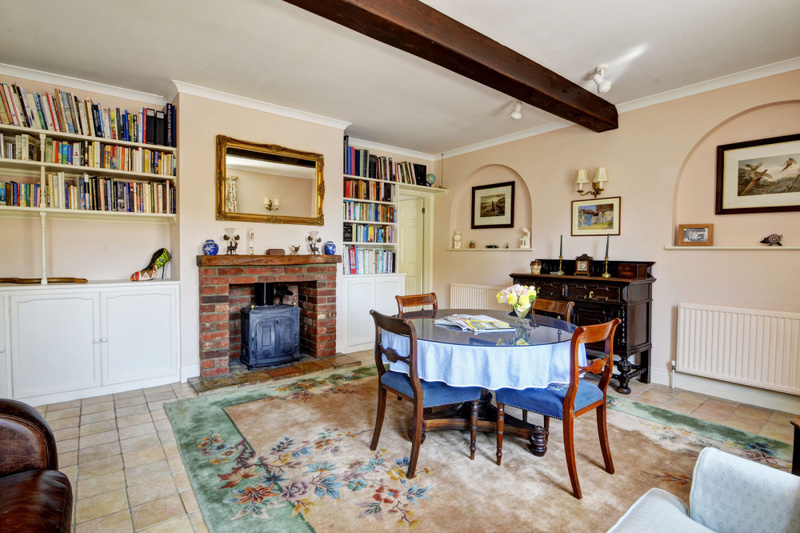 The dining room once again features an oil fired burner with beam above, and brick surround with pamment hearth, and a door to side aspect which opens up onto the patio area once more. The final hallway which completes the downstairs accommodation is accessed off of the dining room, and provides access to two double bedrooms with windows overlooking the courtyard and a bathroom. 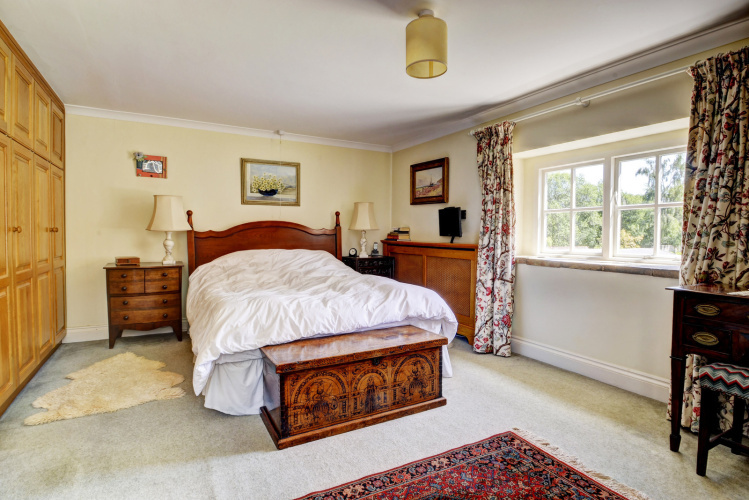 To the first floor there is a large galleried landing which provides access to three double bedrooms including the master suite, with en-suite bathroom, and the family bathroom. 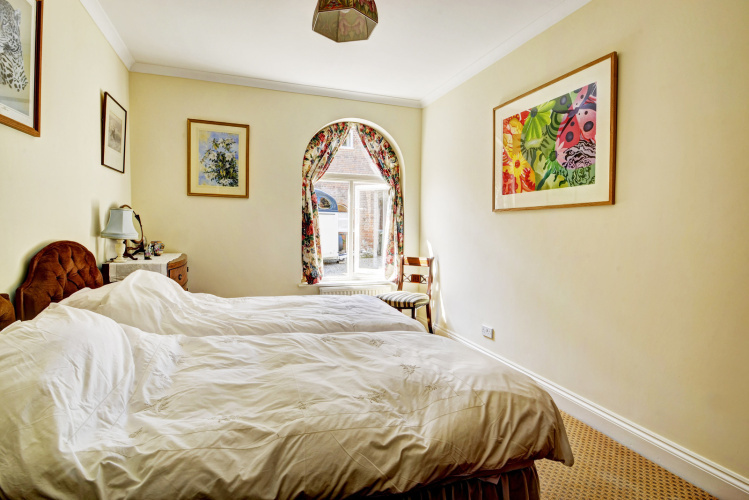 A delightful feature is apparent with the upstairs bedrooms all providing glorious views over the gardens and grounds. You arrive at Witton Grange at the end of a private road where you are welcomed into a large shingle driveway with parking at the front for several vehicles, and parking to the rear/side where the old stables once were. 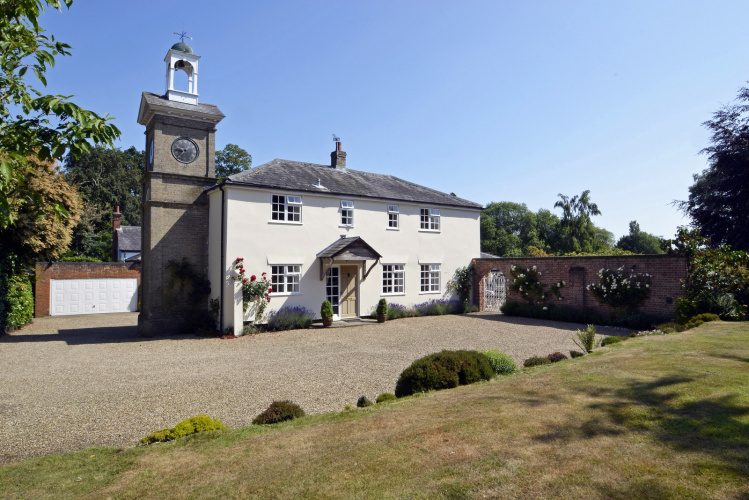 The first feature you witness is the lovely Cambridge white brick clock tower with access and wooden staircase leading to a platform at the very top. There is a bell and weather vane above which is still in working order. 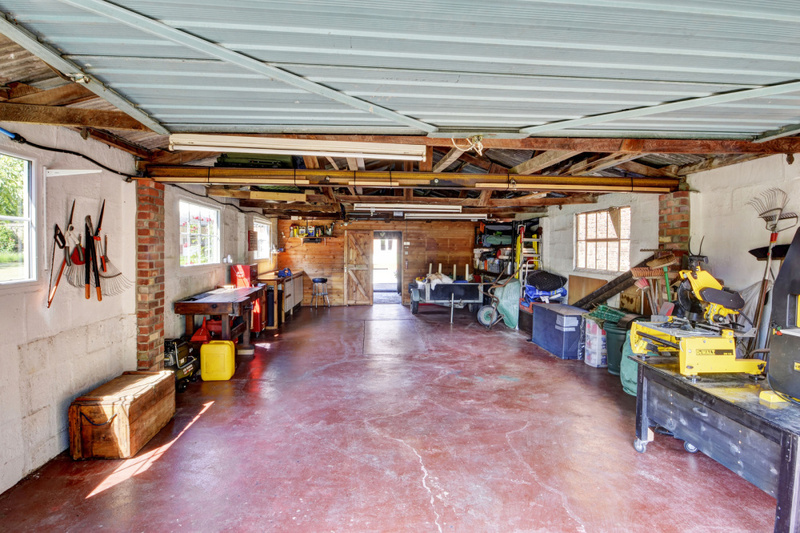 The double garage is located to the end of the property and is accessed through a large up and over door, with power and light available. 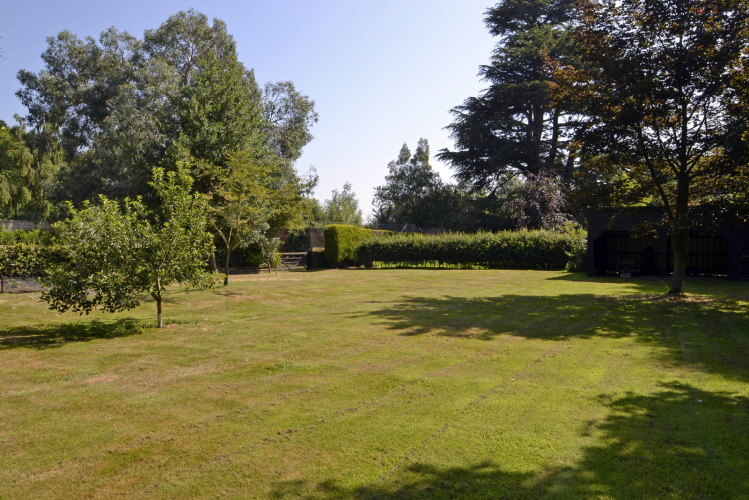 The property sits on just over an acres of land and features laid to lawn gardens with mature borders, and trees. 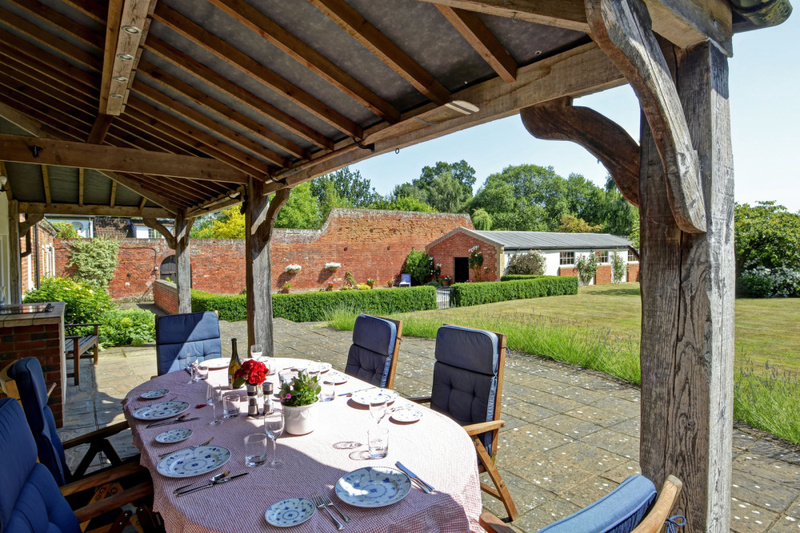 The garden is split into two separate areas with the main lawn being relatively free of shrubbery and provides an excellent place for any event with the current owners using the end portion as a Tennis court in years past. 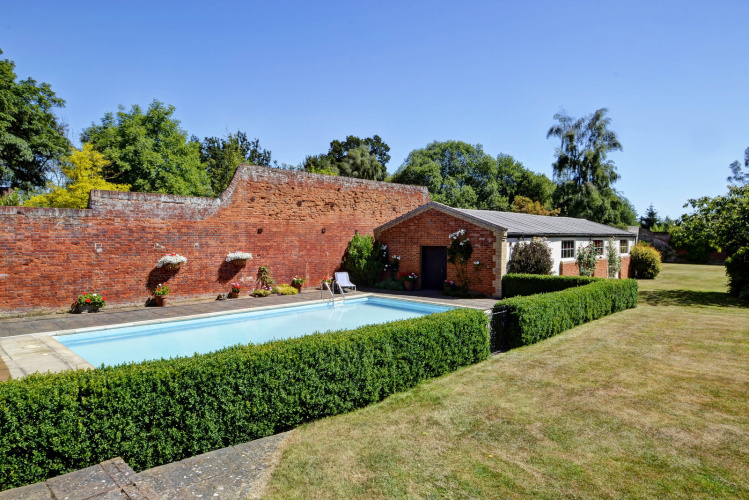 The heated outdoor swimming pool with electric cover is completed enclosed by fencing, and hedging and a patio area runs around the pool with draining system all in place to manage any adverse conditions. The heating to the pool is controlled in the workshop. The workshop's further features include working bench, and power and light throughout. 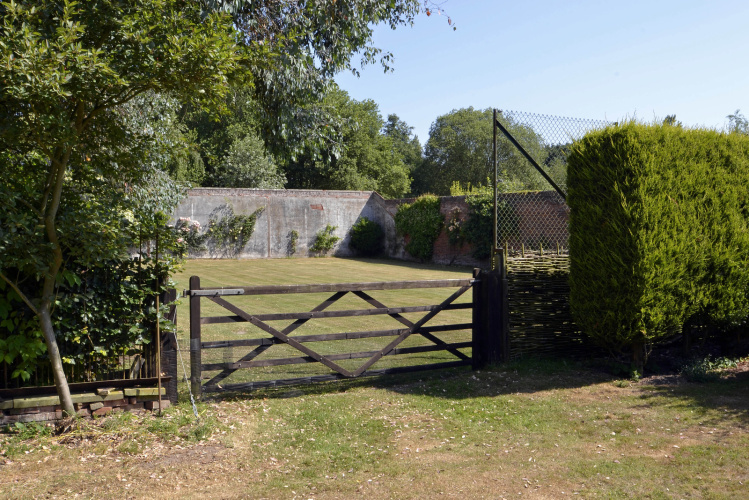 The current owners have found this an ideal area for working on boats, vehicles and storing the garden tools and ride on lawn mower over the years. 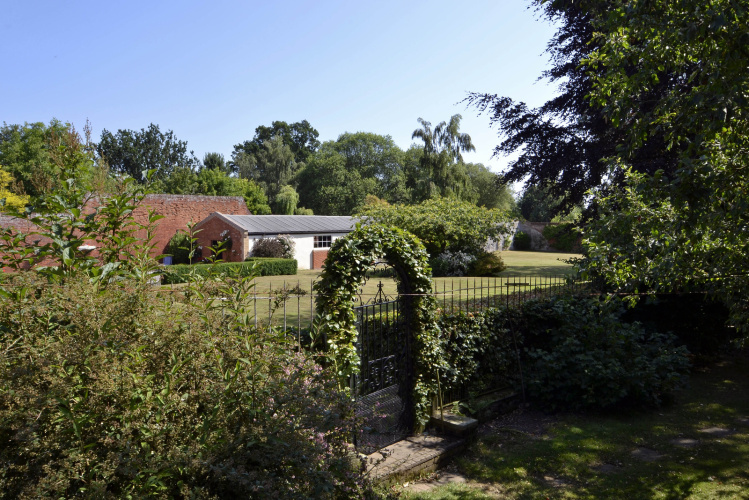 The other side of the garden features a large range of shrubbery, trees and borders and a double cart lodge was built by the current owners, which can be used for various purposes. There is also a garden cellar which completes the outside accommodation, with Brown&Co providing access on an appointment. LOCATION Witton is situated about 3 miles from the City of Norwich, with all its shopping and transport facilities, within easy reach of the A47 trunk road and close to Great Plumstead. 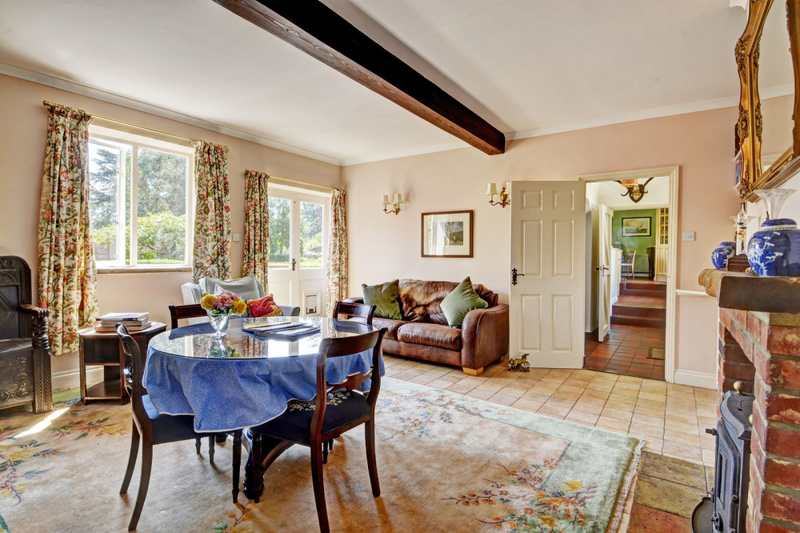 This is an excellent opportunity to live tucked away on the edge of the provincial capital of East Anglia in a rural position, with easy access to the Norfolk Broads. DIRECTIONS Proceed out of Norwich on the Yarmouth Road which merges with the A47 trunk road. Continue along this road and turn left following a sign for Witton. Follow this road for about quarter of a mile and then turn right. Carry on along this road, which continues for about three quarters of a mile, before turning right. Continue along this road for around 500 yards, and turn left. 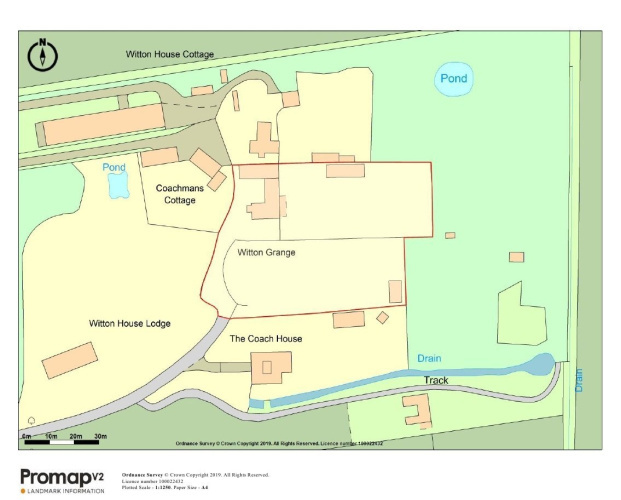 Follow this gravelled private road until you reach the end where you will find Witton Grange. 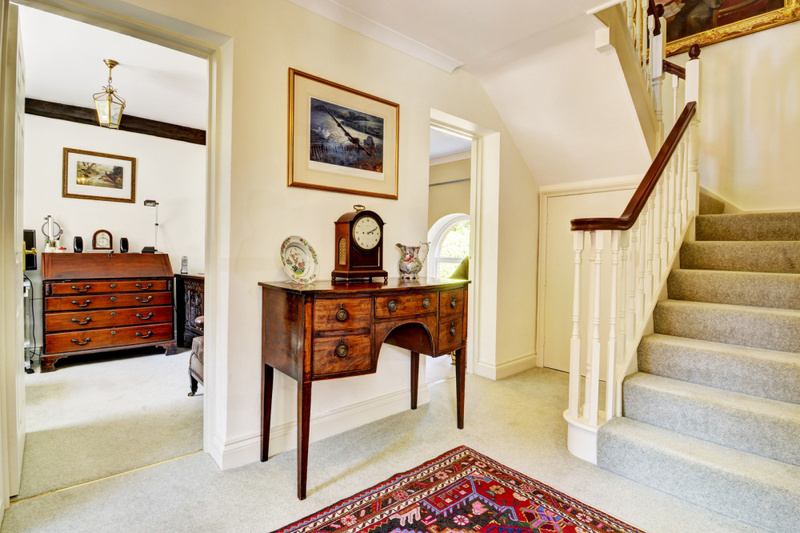 ENTRANCE HALLL Carpet flooring, exposed original beam, radiator, stairs to first floor landing, under stairs cupboard, doors to the lounge, study and the snug. 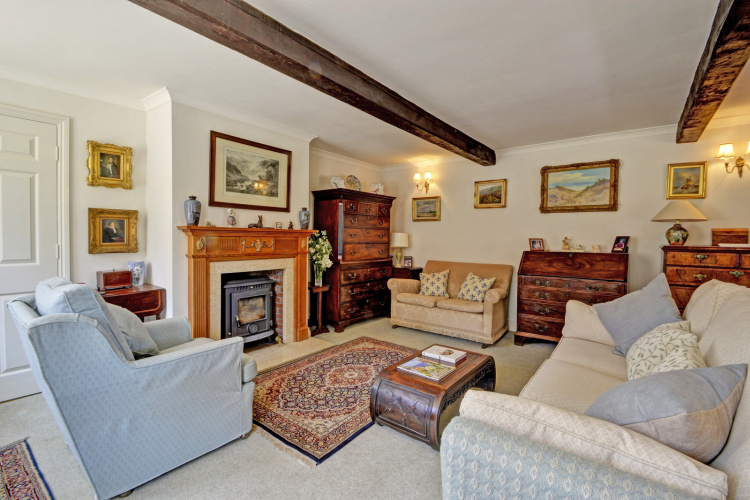 STUDY Carpet flooring, radiator, original exposed beams, window to front aspect. 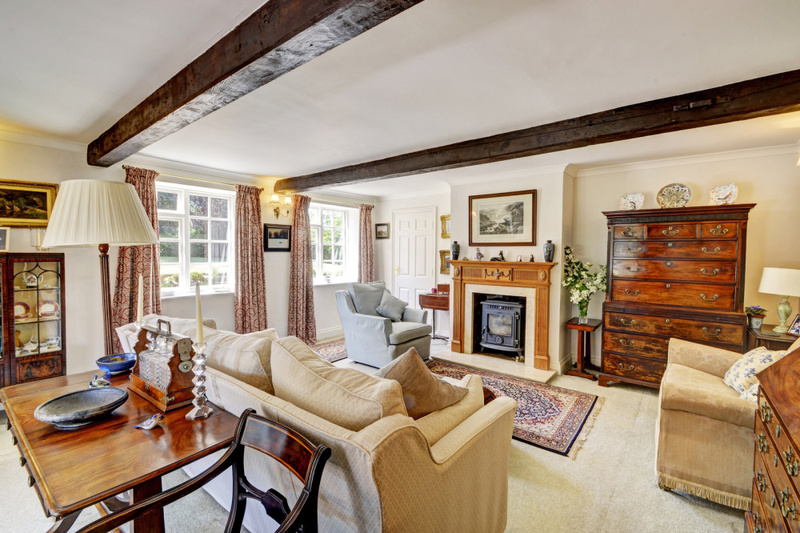 SNUG Carpet flooring, exposed original beam, radiator, bespoke window to rear aspect. 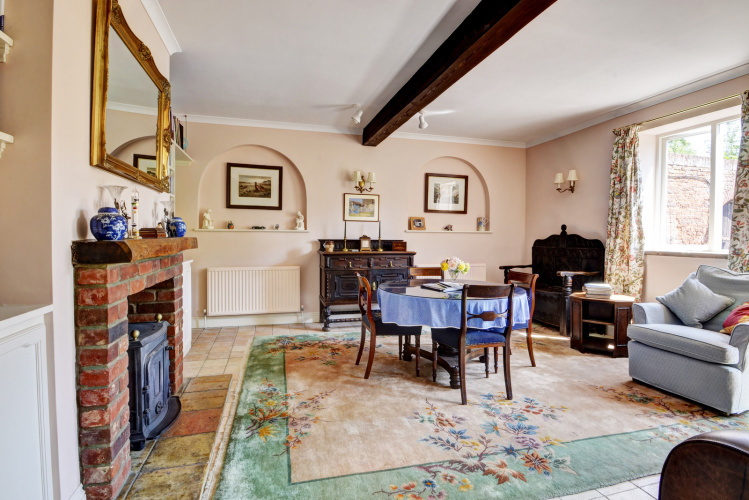 LOUNGE Carpet flooring, two stunning original beams, two radiators, AGA Log Burner with marble surround, two windows to front aspect, and double doors open out to the side aspect onto a delightful patio area, door to kitchen breakfast room. KITCHEN BREAKFAST ROOM Tile flooring throughout, radiator, three bespoke windows to side aspect, four windows to side aspect overlooking the gardens and grounds, ceiling spotlights, hand made limed oak kitchen with a range of fitted wall, floor to ceiling corner cupboards, kitchen island and base units, with integral appliances comprising of a single Bosch oven, Bosch dishwasher, one and a half bowl sink with drainer unit, and a lovely oil fired green AGA. Door to inner hallway. INNER HALLWAY Tile flooring, archway leading into utility room, door to dining room. UTILITY ROOM Tile flooring, space for washer dryer, fitted wall and base unit with double aluminium sink and drainer unit. Door to WC. 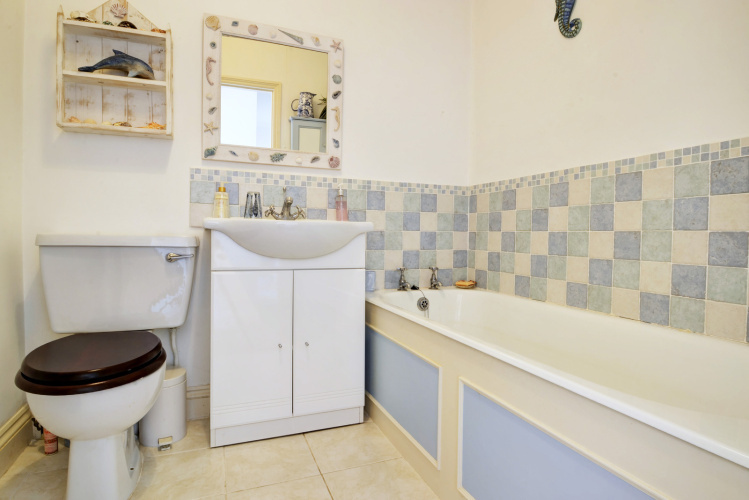 WC Tile flooring, window to side aspect, bespoke toilet with pull handle, large sink with tile splash-backs. DINING ROOM Tile flooring, window to side aspect, exposed beam, door offering access to the garden, oil fired burner with Oak beam above, and brick surround with pamment hearth. Door to inner hallway. INNER HALLWAY Carpet flooring, radiator, doors to bedrooms four, five, and the bathroom. BEDROOM FOUR Carpet flooring, radiator, bespoke window to rear aspect. BEDROOM FIVE Carpet flooring, radiator, bespoke window to front aspect. BATHROOM Tile flooring, radiator with heated towel rail, three piece suite composing bath, wc, and sink with tiled surround, extractor fan. 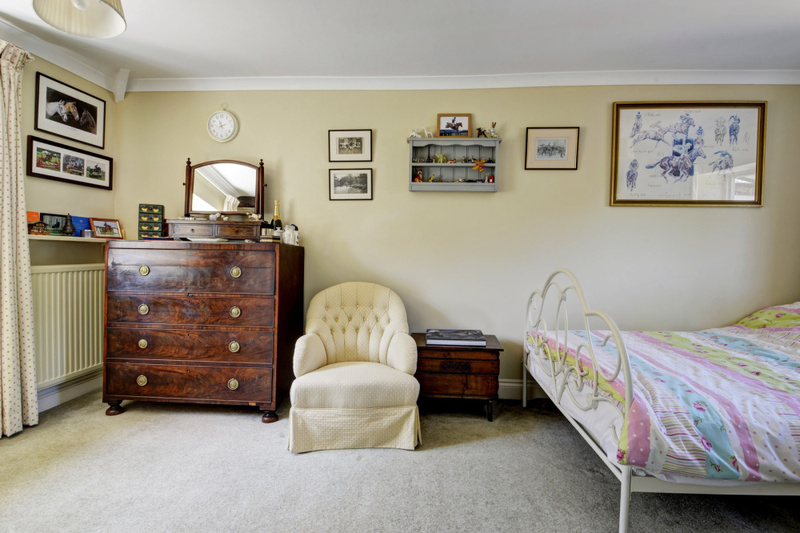 FIRST FLOOR GALLERIED LANDING Carpet flooring, exposed original beam, radiator, doors to master bedroom, bedroom two and bedroom three, ceiling hatch. MASTER BEDROOM Carpet flooring, radiator, beach wood fitted wardrobes with fitted hanging rails, window to front and side aspects, door to en-suite. 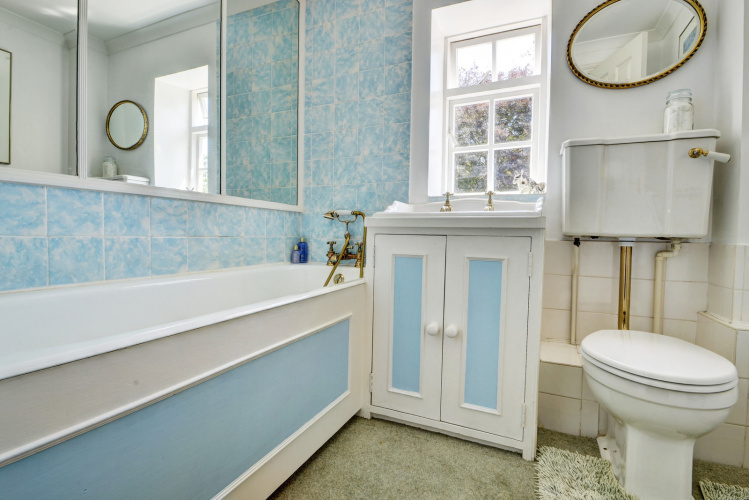 EN-SUITE Tile flooring, ceiling spotlights, window to front aspect, large heated towel rail, beach wood three piece suite comprising wc, bath with shower attachment, and sink. 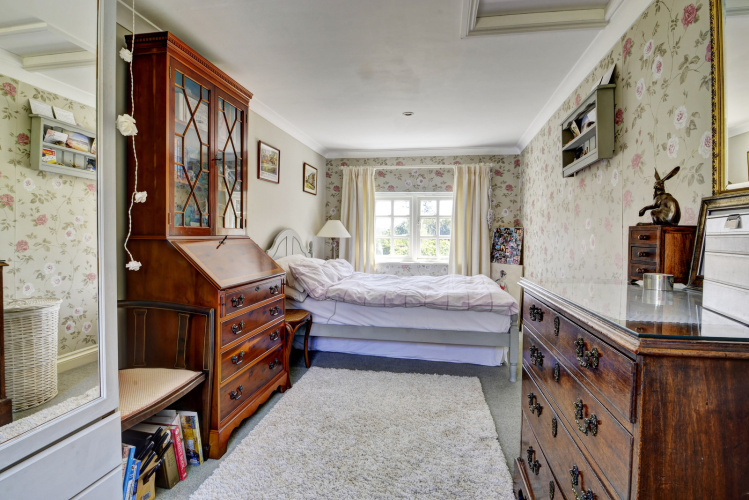 BEDROOM TWO Carpet flooring, original exposed beam, fitted wardrobes, sink with tile surround, dual aspect windows to front and rear. BEDROOM THREE Carpet flooring, large airing cupboard with water tank, door leading into bedroom three with continued carpet flooring, double radiator, dual aspect windows to side aspects, ceiling spotlights. 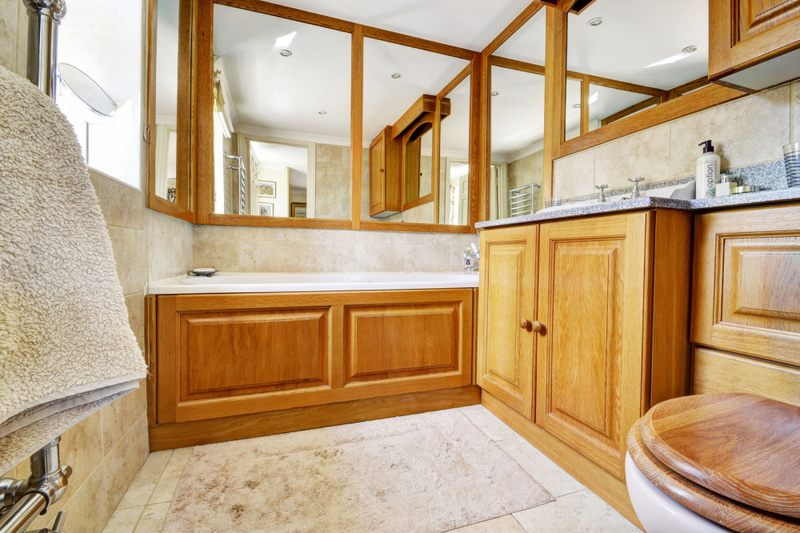 FAMILY BATHROOM Carpet flooring, three piece suite comprising wc, sink, bath with shower attachment, heated towel rail, window to front aspect. GARDEN AND GROUNDS You arrive at Witton Grange at the end of a private road where you are welcomed into a large shingle driveway with parking at the front for several vehicles, and parking to the rear/side where the old stables once were. 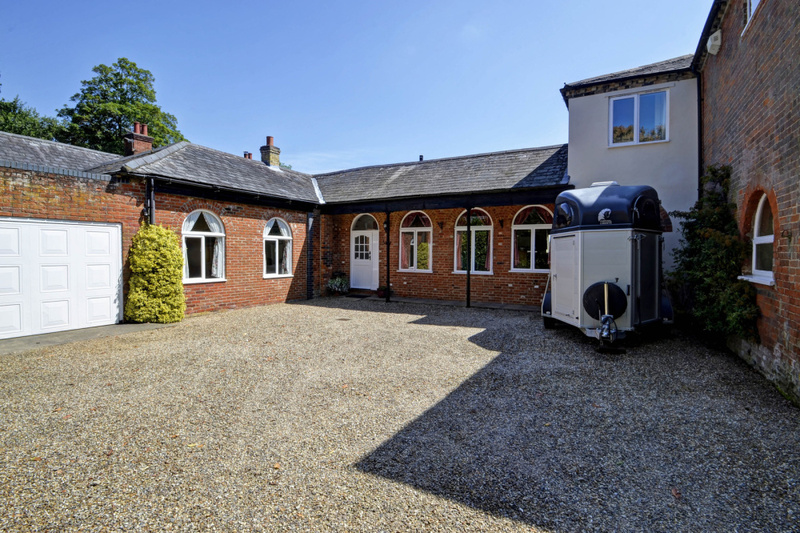 The double garage is located to the end of the property and is accessed through a large up and over door, with power and light available. The property sits on just over an acres of land and features laid to lawn gardens with mature borders, and trees. 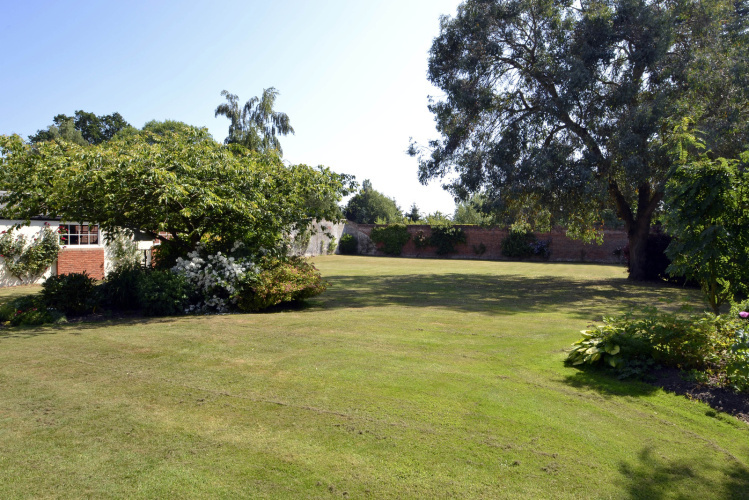 The garden is split into two separate areas with the main lawn being relatively free of shrubbery and provides an excellent place for any event with the current owners using the end portion as a Tennis court in years past. The heated outdoor swimming pool with electric cover is completed enclosed by fencing, and hedging and a patio area runs around the pool with draining system all in place to manage any adverse conditions. The heating to the pool is controlled in the workshop. The workshop's further features include working bench, and power and light throughout. 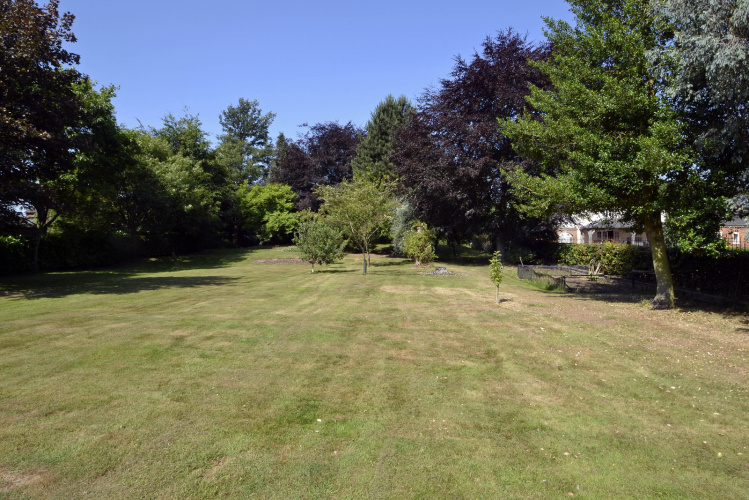 The current owners have found this an ideal area for working on boats, vehicles and storing the garden tools and ride on lawn mower over the years. REAR COURTYARD shingled courtyard with plenty of parking and under cover wood store. 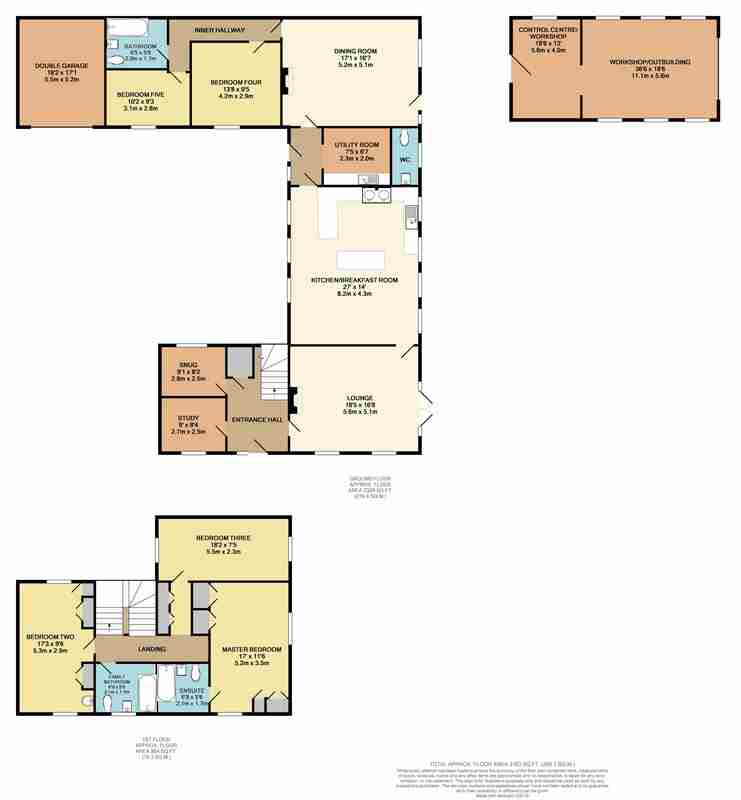 There is access to the boiler room with water softener and access to the double garage. CLOCK TOWER Cambridge white brick clock tower with access and wooden staircase leading to a platform at the very top. There is a bell and weather vane above. SWIMMING POOL Heated swimming pool with electric cover guarded by a gorgeous red brick wall. DOUBLE GARAGE brick built double garage with up and over door, power and light. WORKSHOP/OUTBUILDING Large pit for mechanical use, power and light, up and over door, dual aspect windows to front and rear, and large wooden bench. Controls for swimming pool.